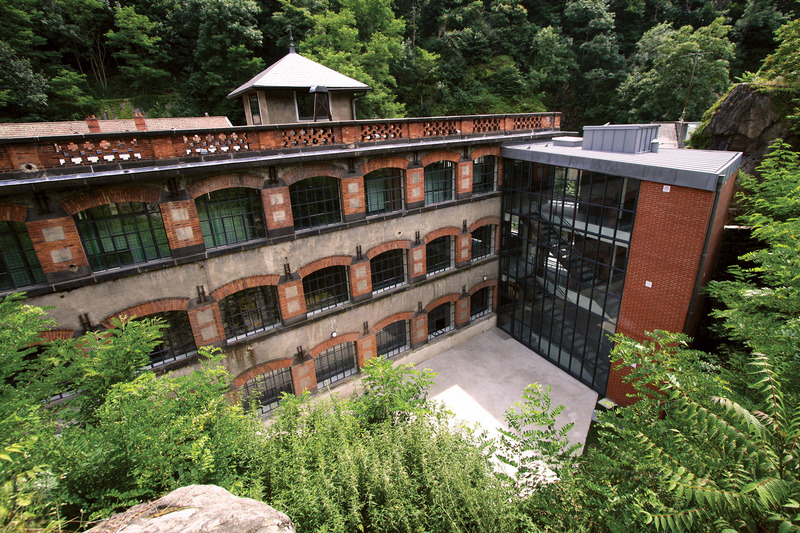 Since the beginning, Coutellerie Au Sabot has been based in Thiers, the capital of the French knife-making industry. This is the very heart of the Auvergne, a region that prizes simple, genuine, down-to-earth values. Standing proud on its rocky spur, facing the Chaîne des Puys, visitors to Thiers are amazed by the town’s Medieval architecture. Wandering down small streets and alleyways, you come across half- timbered, corbelled and even turreted buildings… not forgetting its charming look of Tuscany in the setting sun. 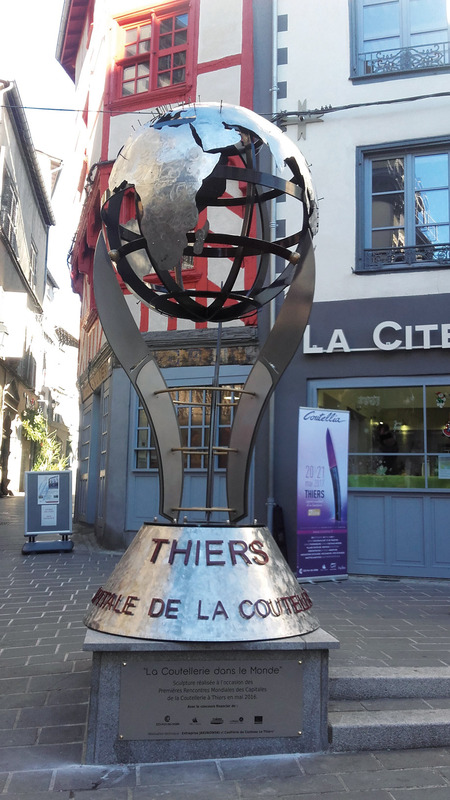 For centuries now, Thiers has been the most important French centre of cutlery manufacture. The industry charts its origins back to the Middle Ages. According to legend, crusaders from the Auvergne brought the secrets of knife manufacture back with them from the first Crusade. However, the metal industry in Auvergne actually dates back to the 14 th century. The development of the cutlery industry allowed the town to begin exporting its products as early as the 16 th century to Spain, the Netherlands and Lombardy. All sorts of blades were ground on whetstones powered by hydraulic energy from the River Durolle. Since then, the cutler’s work has been modernised and you no longer see grinders lying flat on their stomachs above their whetstones, their faithful dog lying on their legs to keep them warm. Today, Thiers still counts nearly 300 cutlery manufacturers or artisans. In addition to traditional cutlery manufacture, production also includes surgical instruments, plastic articles, cutlery, kitchenware and stainless steel dishes, as well as machining and spare parts for the automotive industry. Musée de la Coutellerie : Six centuries of knife manufacture illustrated by 800 rare or unusual pieces. The museum proposes workshops, a vibrant area dedicated to showcasing the cutlers’ skills and know-how. Vallée des Rouets : On the tracks of the knife grinders! 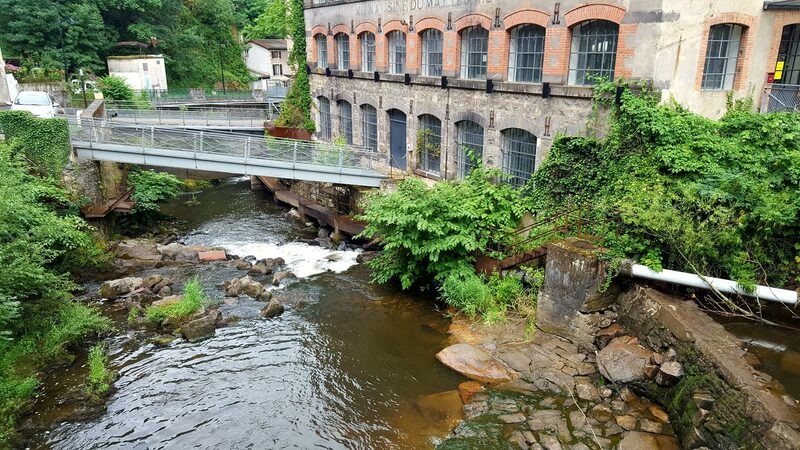 Just a few kilometres from Thiers, in the heart of the countryside, the hiking paths winding along the banks of the River Durolle take you to the famous wheels, blade sharpening mills. Cité des Couteliers : Thiers is a town that innovates, designs, manufactures and exports! 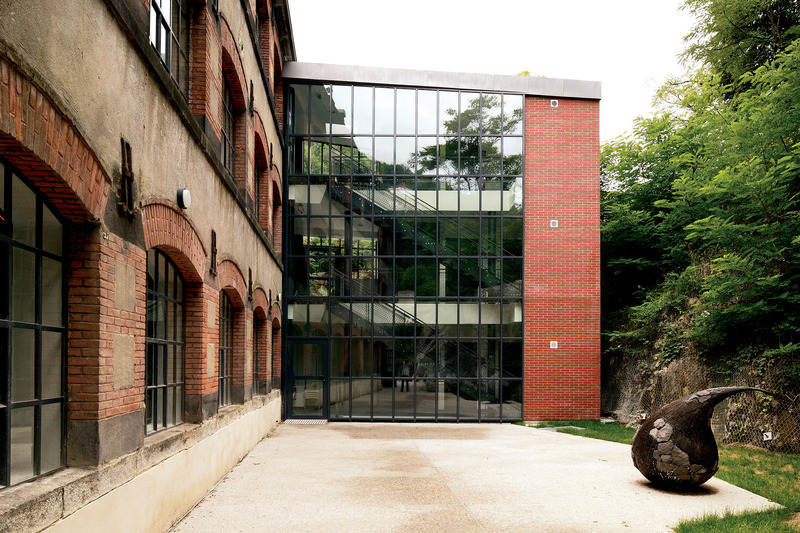 The Cité des Couteliers presents Thiers cutlery and knife-making production in the 21 st century.